Low, circular body. Elongated, rounded nozzle; traces of burning. Three parallel ridges extend down lower back wall below handle(?). 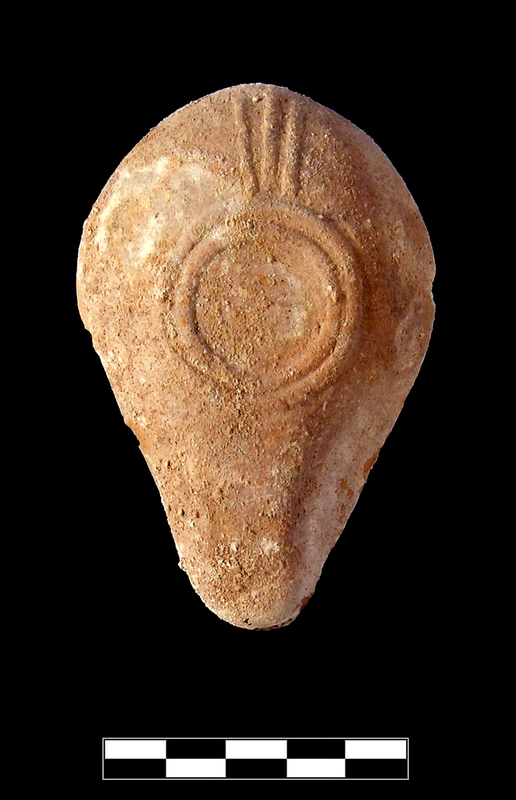 Plain, circular base with two rounded base rings. 5YR 6/6, reddish yellow. Gritty, somewhat hard fabric has rare to uncommon, small, rounded to subrounded, white and black inclusions; hackly fracture. Unslipped? 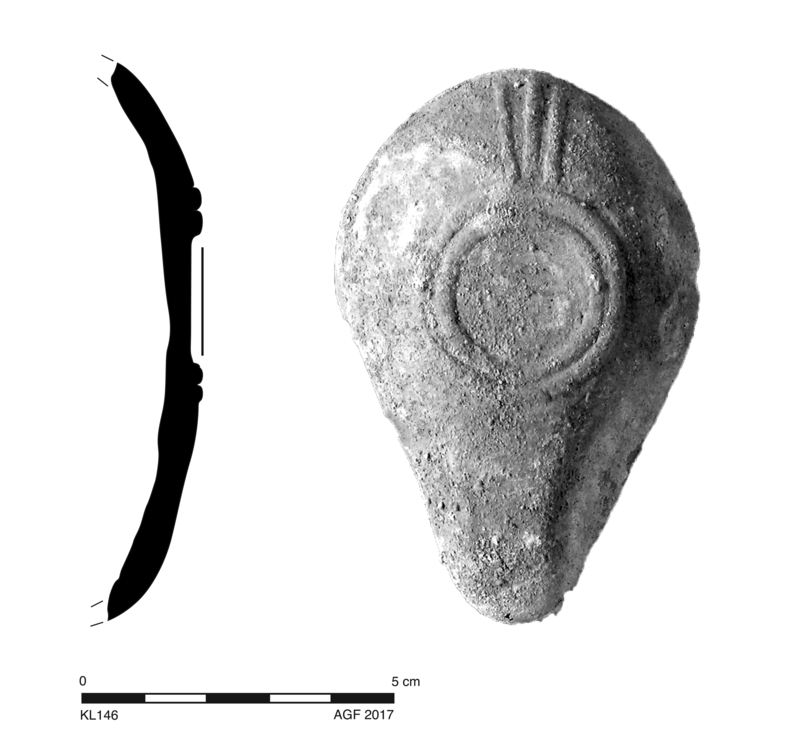 One large fragment preserves entire base separated from upper body at seem. Slight chipping around front edge; thick crust of mortar(?) over whole surface obscures surface treatment.